Your customers are moving targets. To hit them with your message and cajole them into action you may well need your campaign to span multiple media. This may call for emails and social campaigns, backed up by online and print adverts, direct mail of printed materials, dedicated website landing pages and maybe paid search. We have a talented team with expertise across the disciplines to help mould eye-catching campaigns across a spectrum of media and carefully blended to maximise results. 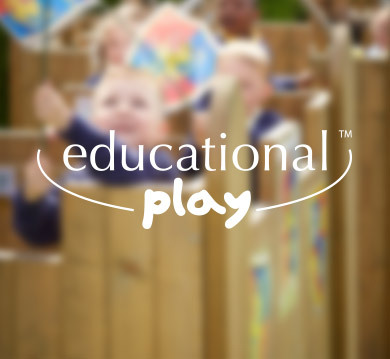 Educational Play wanted to target schools with strong offers to stimulate orders for their Classroom Lofts and wide range of outdoor wooden playground equipment. We devised a tightly targeted campaign using a mix of online and offline elements. We designed, printed and mailed out a cost-effective but impactful self mailer and linked this into a wider online campaign including targeted AdWords, paid social media ads and design of e-mail marketing assets. The campaign was effective in building brand awareness and delivering quality leads via the website and calls. "This was the first time we've created a campaign which has been promoted using a mix of channels. We've looked carefully at the data and there are good signs we've reach more of the right people and more often. "